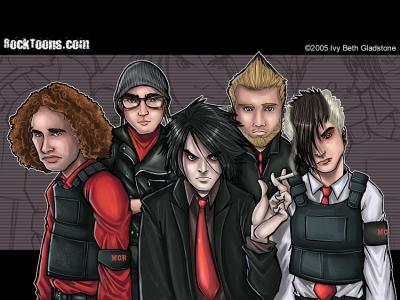 vive My Chemical Romance ! MCR ça c'est du bon ! Welcome to the black parade too! My Chemical Romance jadore !The ghost Of You, cancer, I don't love You, Welcome To The Black Parade, Teenagers, Helena!!! i love my chemical romance !! they're so cool ! !